One night’s transgression. A love unveiled. The inescapable outcome of passion and vengeance. 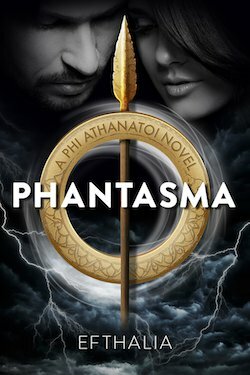 Xen Lyson is the head of the Phi Athanatoi, a group of immortals who have been protecting man for over 2,000 years from the Kakodiamones – demons who want nothing more than to feast on humanity. Χρυσοχερα! Και του χρόνου ! Στην υγεία σου κούκλα ! Why do we need stupid people?